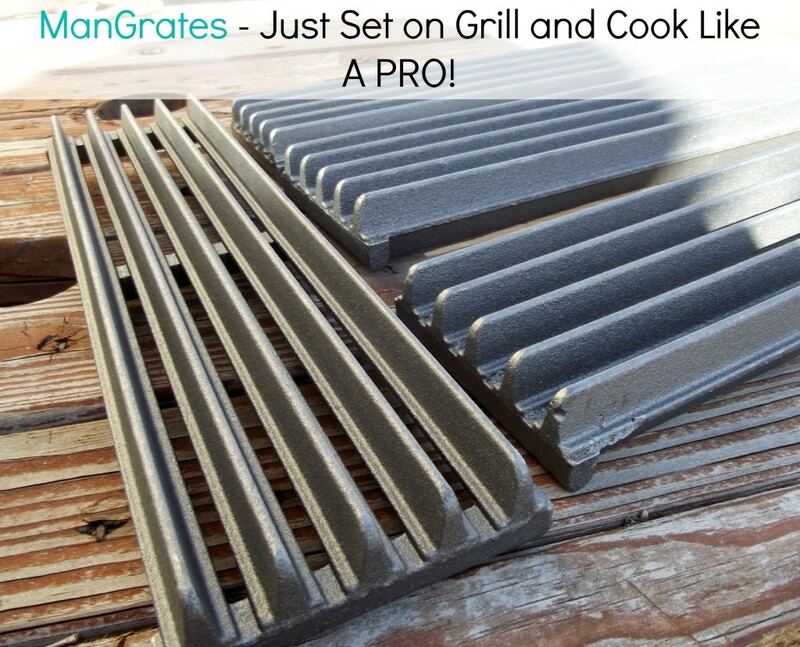 ManGrates are a Must Have For Those Who Love to Grill! 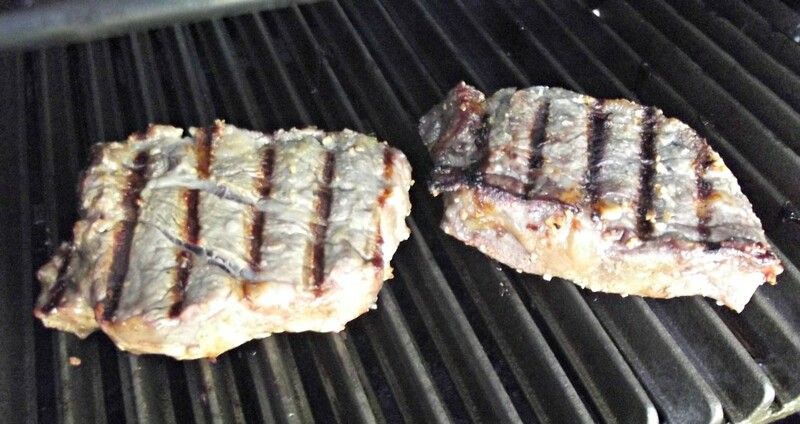 We love to cook on the grill when the warm weather comes! So I was all for trying out ManGrates! These are Cast Iron Grates that you put on your grill that utilize radiant heat instead of convection heat or “hot air.” ManGrates have angled edges, that are designed to trap and retain oils and fats released during grilling, and the juices aid in the natural smoking process. 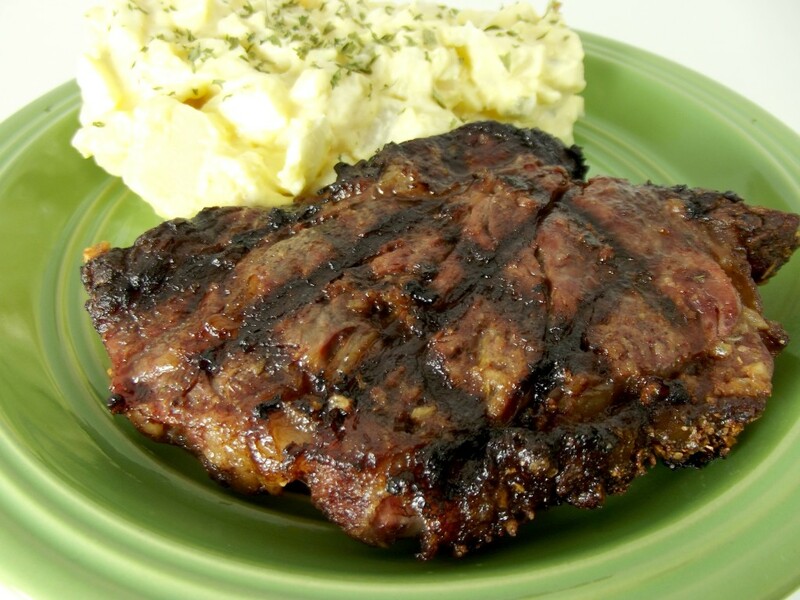 This gives the meat a very rich, barbecued flavor! When I first was looking at these I was kind of skeptical on how good they would work. I was very surprised when they did exactly what they said they would. They really helped give our steaks a nice rich barbecue smoked taste that was way better than the steaks we have cooked on the grill in the past. As you can see as well, it left the steak with beautiful lines from where it was grilled on. This reminds me of a steak you would get at a restaurant!! 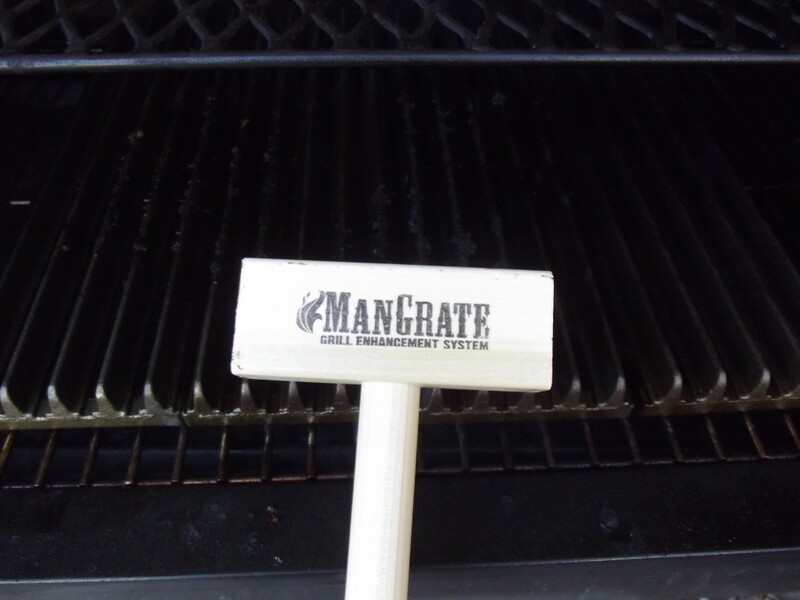 When you first receive your ManGrates you will need to put them on your grill at high heat for a little bit, they put a little pamphlet in the box showing you how to set them up and how to use them. It is important that you spray them with cooking oil, or apply with a towel. This will help from having food stick to them! 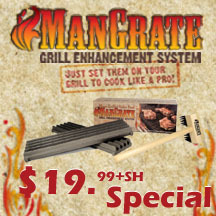 Best of all ManGrates can fit any grill, so you don’t have to worry about that part! This is the picture of the steaks I cooked, after I flipped them the first time. As you can see it had beautiful lines on them! The lighting was a bit off, sorry for the look of it! Now the one thing I love about these ManGrates is that over time, like any cast iron skillet, it will become more seasoned and make the food taste that much better! I am so excited to use them this Spring and Summer and see how much more we can fall in love with these must-have grill grates!!! I received 2 packs of ManGrates to try out. Each box came with two ManGrates, and this ManGrate Wire Brush to clean them with!! You can buy these online and they have different packages you can purchase! I do recommend these ManGrates, for anyone who enjoys grilling and eating delicious food!! Or Click the picture below to score the special deal – $19.99 plus shipping and handling! You can also watch a video on their website to learn more about ManGrates! I received these products from ManGrates for free to share my honest opinion! 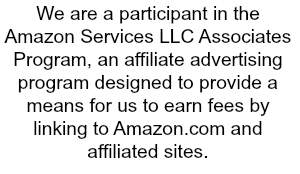 I was not compensated to provide opinion on products, services, or website. The views and opinions expressed on this blog are purely the blog owners. That’s a great product! We don’t grill very well so this is something that we need!! Thanks! Oh those man grates look fantastic! I am a HUGE griller! I grill food all the time. These would be perfect for us! I LOVE this idea! I’m totally getting these for DH’s birthday! This would be an awesome gift for my dad for Father’s Day! Love how great these work. Wow! Those are pretty sweet! I’ve never heard of them before. Thanks for sharing! Oooh, that looks like a fantastic product. We are big on grilling, and grill ear round so these would definitely come in handy! I’ll have to look into that for my husband. He has to use the grill at least once a week, even in the winter. Uh oh…I see another gift idea for my boyfriend! Of course we’d all benefit from these! That steak looks delicious!